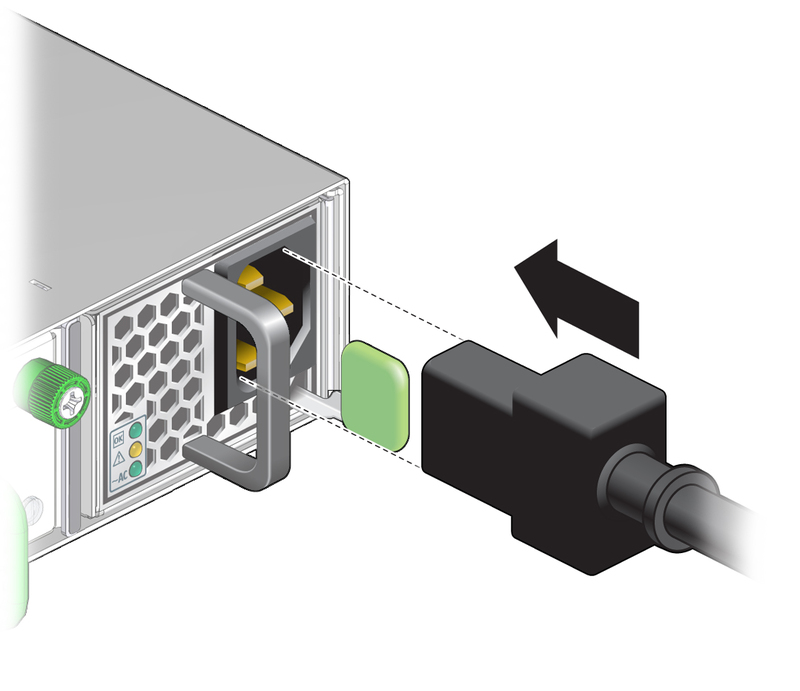 For residual power discharge, the power cord must remain unattached to the power supply for at least one minute before powering on a power supply. Reconnect the power cord to the power supply. The AC LED lights green to indicate that the power supply is connected to facility power. A moment later, the OK LED lights green to indicate the power supply is at full power. Verify the power supply’s operation with the checkpower and checkvoltages commands on the management controller.